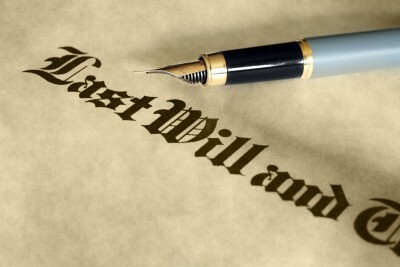 In my blog post on Monday “Is it morbid to plan for an Inheritance,” I referenced a recent survey undertaken by the Investors Group that stated that 53% of Canadians are expecting an inheritance, with over 57% of those, expecting an inheritance greater than $100,000. In the press release announcing the survey results there was a paragraph on “Having the talk” which discussed the lack of communication between parents and children in respect of inheritance issues and, more specifically, wills. As I noted on Monday, my most read blog post by far is now One Big Happy Family until we discuss the Will which discusses this exact topic. In that blog post, I suggest that where a family discussion can be held without creating World War 3, the benefits of such a discussion include allowing parents to (a) explain possible perceived inequities in the will, (b) determine the wants and needs of the beneficiaries, (c) help in determining an executor, and finally (d) allow for full disclosure. While the Investors Group press release focuses on the fact most families do not have the "talk', a glass half-full view reflects that a significant number of families actually do discuss this sensitive issue. In the Investors Group press release Christine Van Cauwenberghe, Director, Tax and Estate Planning at Investors Group says "When it comes to wills in Canada, there's not enough action and certainly not enough talk," Christine goes on to say that "Broaching the sensitive topics of wills and estate details with loved ones can be daunting but having "the talk" early on can provide security for planning and make the process easier when the time comes." That the survey reflected many families are able to have this conversation without issue is heartening. However, I would speculate that these families are most likely families without a black-sheep child and their distributions are probably somewhat equal and not contentious. 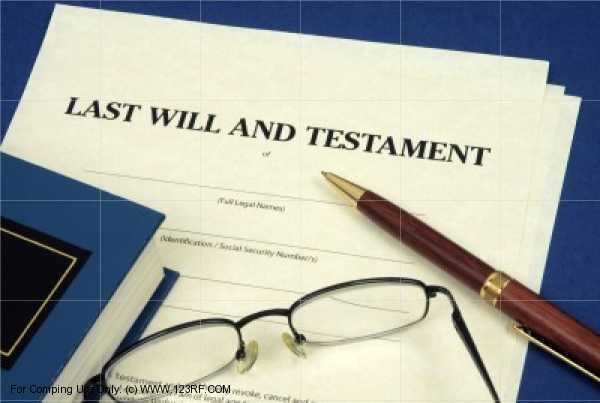 Nevertheless, it is nice to have some statistics that reflect that some parents are having this difficult discussion, which allows for estate planning certainty and minimizes the issues for the executor(s) in administering the parent(s) estate. I find the psychological aspects of money fascinating and in July, I wrote a blog called How we look at Money. Today, I want to discuss a post on the Psyblog (written by Jeremy Dean, a researcher at University College of London working towards his PhD) called The 3 Reasons Money Brings Satisfaction But Not Happiness. I would be interested in knowing if there is a correlation between increasing income and the importance of relative income; or is relative income as an important measure at lower income levels as it is at higher income levels? One would think meeting basic needs would be far more important the lower your income level, but maybe not. As for those with a higher income, I think we all know someone who needs to earn more than their friends and the people they grew up with, but as they earn more, they essentially social climb into another strata and, as Jeremy says, become surrounded by richer people, requiring them to climb another social strata in a never-ending loop. Jeremy says “acquiring things like houses and cars only have a transient effect on happiness.” Jeremy even states that materialism makes us less happy. I think we can all somewhat relate to this comment. We often strive for a material item and sometimes, after achieving it, there is almost a letdown as the journey was more exciting than reaching the mountaintop. However, let’s say you love to jet-ski; the acquisition of the sea-doo would seem to have a lasting effect on happiness, so I am not sure I am 100% in agreement on this one. Although true in some cases, I certainly observe many people golfing 3-4 times a week or hanging out at their cottage in the summer enjoying themselves and their financial wealth. Jeremy concludes that “in fact, people with more money and status are just more satisfied with their lives, not happier”. You have probably heard one of the radio advertisements from companies asserting that they can get your business or company a refund if you have paid Employment Insurance (EI) premiums on behalf of your family members. These advertisements can be misleading and they have led some people to believe that EI premiums are not required when remuneration is paid to a spouse, siblings, children or parents employed in a family controlled business. This assumption is incorrect, and in some cases, companies that have not remitted EI have been subject to interest and penalties upon a reassessment. As if the criteria to determine whether EI must be submitted in the first place on behalf of family members are not confusing enough, there is an insidious income tax issue associated with requesting an EI refund. 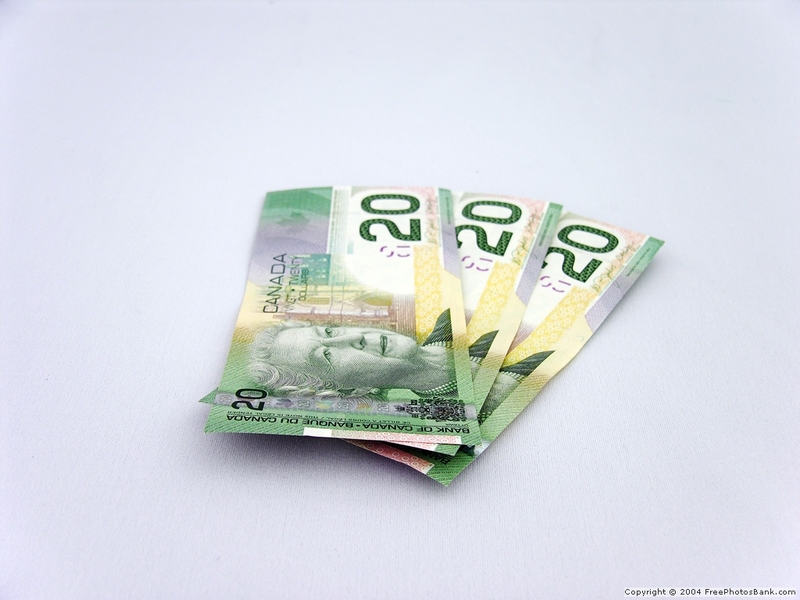 If you make a claim, you are in many cases essentially telling the Canada Revenue Agency (“CRA”) that the wages you paid to your family are unreasonable. So let’s try to deconstruct this issue. The CRA’s position is that EI premiums are required on salaries paid to family members unless the conditions of employment are not similar to conditions that would be enjoyed by an arm’s length individual in similar circumstances (EI is not applicable in the first place if the family member owns more than 40% of the corporations voting shares). This position means for example, that if a family member employee is paid a higher salary or wage than the employer would normally pay to an arm’s length person who had the same or similar responsibilities, EI premiums may not be required. It would also apply to situations where the family member employee is required to work fewer hours or is entitled to more vacation time than what would be offered to an arm’s length employee in a similar position. As the above criteria are somewhat subjective, the answer to whether a company should be paying EI on behalf of family members is not necessarily clear cut. A company can request an EI ruling from the government to determine whether the family member's employment is considered "non-arm's length" and therefore can stop deducting and remitting EI premiums and possibly receive a refund of premiums paid in the current and three prior years. Various EI refund companies have stepped into this void and may charge a fee of up to 30% for any EI they recover on your behalf. As one can fairly easily file an EI ruling and make their own refund claim, it is a question or your time and sophistication as to whether to hire an EI refund company to make your company's/business's claim. A simple example illustrates the potential costs if a family member’s salary is denied as a tax deductible expense. Say a small business owner pays his or her spouse $50,000 for administrative services he or she performs in the office. In 2012, the combined employer and employee EI premiums that could be saved or recovered would be approximately $2,000. The additional corporate income taxes that would result if $30,000 of the $50,000 salary expense is denied because it is deemed to be unreasonable would be approximately $4,700 plus potential penalties (unlikely in this situation) and interest. If the entire salary was disallowed, the income tax cost would be approximately $7,800, plus potential penalties and interest. This is a current cost analysis, however, once on CRA's radar, it would be prudent to restrict the future salary to family members, thereby costing you future income splitting income tax savings. One should also bear in mind that EI protection will cease for family members if EI premiums are recovered or simply not remitted. This should be of particular concern for anyone counting on EI benefits in the future, especially during a parental leave. However, we have seen the government deny EI benefits even when EI premiums have been deducted and made consistently in respect of salary paid to a family member. 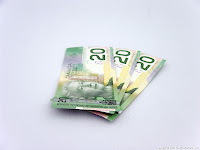 Thus, if you employ family members you may want to request a ruling from the CRA to determine whether or not the salary paid to a family member is insurable in the first place, however, that then brings the reasonable salary issue back into play. Although it is true that a refund of EI premiums may be available under certain circumstances, in some cases the potential risk for the non-deductibility of the salary may outweigh the potential recovery, especially where very unreasonable salaries have been paid to family members. I would suggest before moving forward with an EI claim, you discuss the issue with your accountant to best quantify the risk if any. This past summer, while driving to a golf course 30 minutes outside of Toronto, my friend and I played a game of high school geography. After playing the game for a few minutes, he asked me if I had heard what had happened to Tiny and his younger brother Tim. I said no, and my friend then related this tragic story. As part of a family business succession plan, Tiny and Tim were given control of Papahasdough Co. This succession plan was well-founded as both Tiny and Tim had worked in the business for years and were ready to take the business to a new level. Although the brothers were given equal shares of Papahasdough Co., Tiny assumed the role as CEO and Tim was named CFO. However, Tiny, as he had all his life, acted as Tim’s older brother/boss and not his equal. Tim, who had resented Tiny since childhood for acting superior, rebelled. The brothers had a severe falling out and lawsuits followed. The story gets far uglier, but I’ll spare you the gory details. In this sad saga, sibling rivalry moved from childhood to adulthood. One may think this uncommon; however, according to a 2004 article by Offra Gerstein Ph.D, titled How to deal with Adult Sibling Rivalry, sibling rivalry can significantly impact relationships between adult siblings. Sibling rivalry can manifest itself in many ways during adulthood, both financially (the distribution of family assets) and psychologically (perceived favouritism). However, in this blog, I am just going to deal with how sibling rivalry can affect the succession of a family business. The issues of business succession are varied and complex even for families without sibling rivalry baggage. Family succession issues include: Which child does the parent give the voting shares to? Who is named CEO? If the children do not have the same commitment to the business, should they be given equal shares or equal salaries? These issues are intensified when there is sibling rivalry and I would suggest the parents are ultimately responsible for recognizing that this issue can be divisive and toxic, as in the case of Tiny and Tim. Even where parents are in a no-win situation, at a minimum they must consider options to mitigate potential issues. Alternatives may include selling the business or giving the shares to one child and equalizing the other child through cash or other means. Phil Thompson in his paper Succession Planning and the Family Business states that “without careful planning and parenting, including outside counselling, sibling rivalry can wreck a succession plan. Unfortunately, sibling rivalry often stays buried until after the parent is dead. Deal with sibling rivalry right at the beginning, and build a plan that will not fall apart over this issue. Problems can arise either when more than one sibling is involved in the business or when only one of your children is involved. The decision you make with the business can affect how other family assets are considered, including houses and cottages." Many parent(s) work their entire lives to build a family business with the hope of passing it on to their children. It is very sad that childhood sibling rivalries can be carried into adulthood and it is incumbent upon the parent(s) to recognize this issue and plan to mitigate any potential fallout. If you wish to receive The Blunt Bean Counter by email, please enter your email in the Subscribe Via Email box on the right hand side of this page. As I discussed in my “Old and not Thrifty” post on Monday, I don’t care if I save two dollars shopping at Wal-Mart. 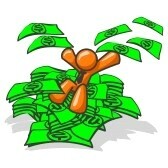 That is not to say I do not think about what I spend my money on, but once I decide to spend, I am not frugal. 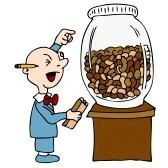 For those who are frugal, there is no debate from me that you definitely save a greater percentage of your earnings than The Blunt Bean Counter. However, my sermon for today is that your frugality must not be a means to itself, but that the monetary benefits you accumulate by being frugal should at least in part, be utilized to enhance your life experience. The discussion in this blog post is only relevant to people who have savings and are not frugal out of necessity. For the purposes of this post I am lumping spending avoidance with frugality, although they are not necessarily one in the same. For example, many years ago, at a firm I used to work at, a client’s investment advisor believed in fully leveraging this client's portfolio's so that they had the maximum exposure to the equity markets. The client took this leverage philosophy to the extreme, such that he had no money to spend because his cash flow was restricted as result of his debt obligations. This was not frugality, it was actually stupidity; he was not enjoying his life because he was not spending money because he had to avoid spending. Whether you are not spending money because of frugality or because you have choked off your cash flow as in the example above, be aware that you are postponing the time to enjoy your life. In the case above, the client’s marriage had tremendous tension as his spouse did not agree with the philosophy of leveraging when it impacted her desire for going out for dinners and travel and enjoyment of her life. At this point, this blog requires a connector. My personal connector is having a father die in his early fifties. My view on life is always impacted by this event because whenever I say this purchase or that vacation can wait for another day, I stop and say to myself, that that day may not come. I am not being morose or by any means saying overspend today and disregard your future; I aggressively and continuously try to build my RSSP. I am just saying balance your today and your tomorrow. Don’t deprive yourself, because you may not have tomorrow to enjoy the financial benefits of your frugality and savings, whether because of health issues or worse. As I suggested in the second part of my blog Sign That Will, you should consider creating a bucket list to give your frugality some purpose and balance. This year I crossed off one of my bucket list items, Pebble Beach. The cost was excessive, but I did not care, it was an awesome experience. For what it is worth, my suggestion is that you create a bucket list of things you really want to do during your lifetime and try and build in actual time frames to cross the items off your list. 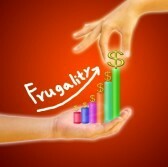 Use your frugality or savings ability to specifically save for a bucket item and thus, leverage your behaviour and financial philosophy while gaining some personal life balance. Don't just save for tomorrow, save for today! 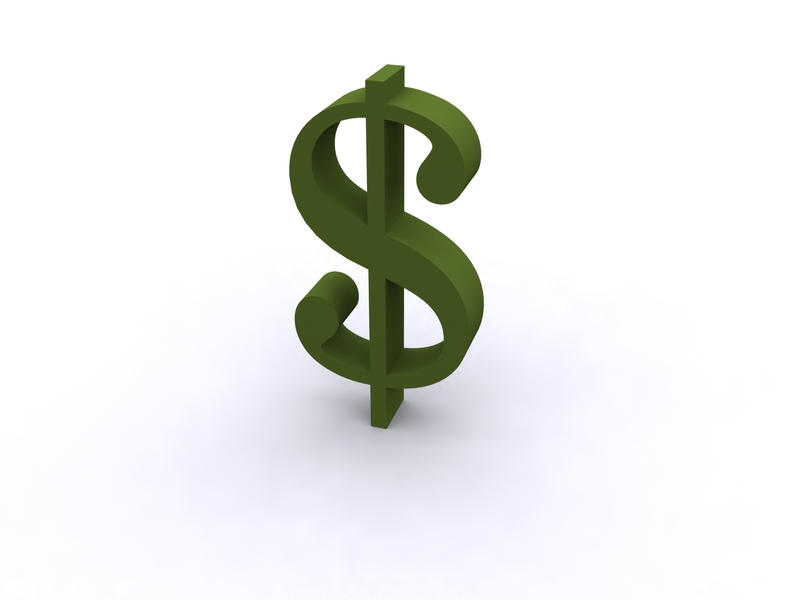 There are a multitude of blogs in the blogosphere on how to be thrifty and which stores can help you get more for less. One of the best of this genre is the blog Young and Thrifty. Y&T was one of the bloggers who joined in the Bloggers for Charity initiative, showing she is not only thrifty but also altruistic. Y&T, who decided to be her own guest blogger, wrote a great post on Tibet and the Trans-Himalayan Aid Society. While I appreciate Young and Thrifty's blog and her related tips, personally, I am far from young and thrifty and a more accurate characterization of myself would be old(er) and not thrifty. My wife who is thrifty says I am like a caged animal 5 minutes after she takes me into a Costco or Walmart. She has declared me persona non grata for her shopping excursions to Costco unless she is there to purchase one or two things. As for Winners or Target, I am sure they have some awesome clothes for sale, the problem is I won’t dig twenty minutes to find that gem of a deal. So what is my problem? If I navel gaze, I would suggest there are three reasons for my lack of thrift. 1. I am an accountant. You are probably thinking what the heck is Mark talking about, accountants are numbers guys and notoriously cheap. Although counter intuitive, accountants are taught as wee auditors that materiality is important. In auditing a financial statement, if an item is not material to the financial statement, you are taught to ignore it. So I have been programmed to only worry about material dollars, so if I can save 5 bucks, I don't care, talk to me about $50 or $100 and I will pay attention. 2. Secondly, I am a guy. Typically in order to be thrifty you must undertake due diligence and shop around to determine your options and then zero in on the cheapest option. That means actual shopping at an actual store in a crowded mall or superstore. Let’s be honest, most guys cannot stand to shop unless it is for power tools, cars, sporting equipment or swimsuit shopping (yes, girls, we really are shopping for the most up to date swimwear, and we are not there to look at the women trying on their new bikini's), so how can most guys even be close to being thrifty? Believe it or not, I actually like shopping for clothes. However, this is how I work: if I walk into a store and I like something, I buy it. Why do I need to go to 3 other stores to see if I like something better? If I like the clothing item and I don’t feel I am being ripped off, I buy it and I am done, no shopping around. 3. I have no patience. I just cannot take the time to spend several hours finding the best blender at the cheapest price. I would be willing to bet most thrifty people have far more patience than I do. There is no doubt, being thrifty is financially beneficial. Also, so I don’t get hate mail for my lack of empathy, I realize thrift and prudence is not a choice for many people. However, I would suggest if you are playing the thrift game, you have a quick two strikes against you if you are male and lacking in patience.